Former DM Liberman says Yisrael Beytenu won't join government unless its Draft Law is passed. 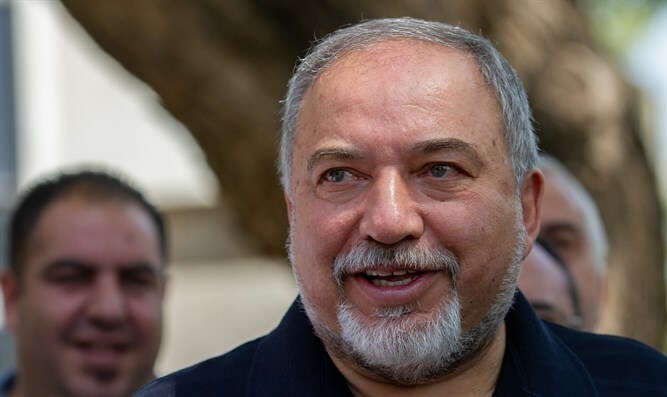 Yisrael Beytenu Chairman and former Defense Minister Avigdor Liberman announced that his party will brook no compromise regarding the Draft Law, and that only the law prepared by the Defense Ministry will be acceptable, Kikar Hashabbat reported. "The Likud must decide if they are a party which follows [Ze'ev] Jabotinsky's ideology, or a haredi party led by the Council of Torah Sages," Liberman said. "Yisrael Beytenu will not accept any compromises regarding the Draft Law. The Draft Law, which I initiated during my term as Defense Minister, is a condition which cannot be compromised on if we are to join the next coalition." On Monday night, Channel 20 reported that Israeli Prime Minister Binyamin Netanyahu met with the haredi parties to discuss the Override Clause, which will help deal with the conflict surrounding the Draft Law. The Override Clause would allow the Knesset to reenact a law that was rejected by the Supreme Court, but the approval is subject to the condition that the final version of the law will establish the ability of a 61-MK majority to enact overriding legislation. Now the bill goes to the Knesset for approval.